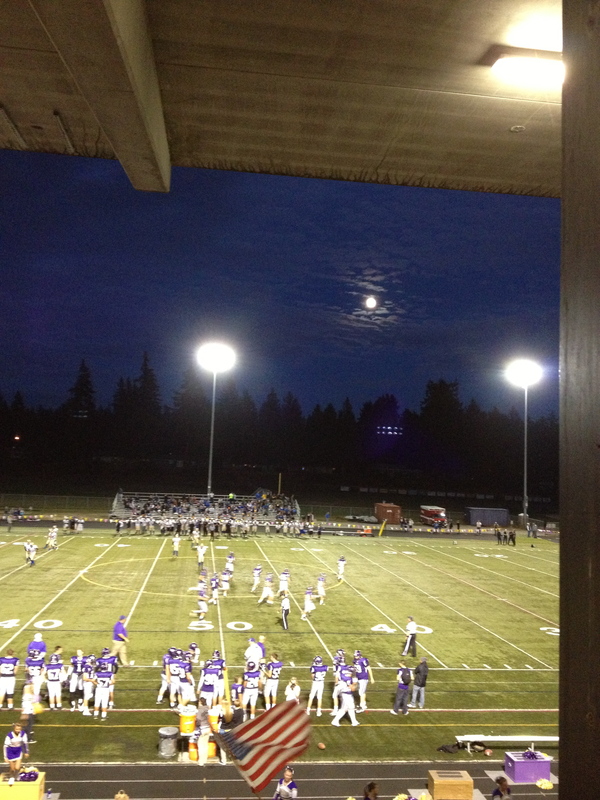 I’ve had the joy of being the stadium announcer for the local high school football team for the past 9 seasons. It’s a great view for watching young men play a game that offers many leadership opportunities. For about the past 7 years, the team has done a pretty cool thing. After every game, win or lose, the players walk to the edge of the home stands and salute the students and parents by singing the school fight song. After wins, it’s easy. After losses, it’s hard. It’s even harder to do it with enthusiasm. The leaders of the team, normally the seniors and captains, always stand front and center leading the charge. Win or lose, the fight song is sung by players, coaches, and fans. As a former high school coach, I can tell you it only happens if you have leaders on your team. Who are your “team” leaders? You may not have to sing a fight song, but your leaders need to sing your mission, your values, and your culture. What if you are deemed the leader? How enthusiastic are you in tough times? Are you the one showing consistency and passion? In football, business, and life, we need leaders. Go be one! As a business owner or department head, you undoubtedly think you know about everything going on. And, for the most part, you probably have a pretty good handle on the important matters. But, do you know everything that you need to know? Probably not. The best practice is to have an independent, third-party conduct an assessment to help you better understand where things stand. Your team members will say things to an independent third-party that they would be reluctant or hesitant to say to you. You’ll get confirmation on things you may suspect are issues and you’ll likely learn some new things. Whether your business has suffered a downturn and reduced headcount or you’ve grown in recent months or years, it’s critical that you take some time to figure out where you stand. Your team will really appreciate the opportunity to provide feedback. This is a great, first step in turbocharging your business execution as it helps identify the logical and critical next-steps. This will help you and your company thrive. Dave Gardner is a management consultant, speaker and blogger who resides in Silicon Valley. He helps companies resolve business execution problems to accelerate collaboration and ignite excitement. He can be reached through his website at http://www.gardnerandassoc.com or via phone at +1 888-488-4976. Follow him on Twitter @Gardner_Dave. Extra Points (from Monday) – Who’s Watching You? Posted on October 18, 2012 CategoriesExtra PointsTagsBill Clinton, Business, George H.W. Bush, Presidential debates, public speakingLeave a comment on Extra Points (from Monday) – Who’s Watching You? Television provides eyes all the time. The Presidential and Vice-Presidential debates, college and pro football coaches on the sideline, and reality television often catch those moments that were not meant to be seen. I will never forget President George H.W. Bush looking at his watch in the middle of the debate against soon to be President Clinton in a 1992 debate. It may have swung the election. During the current debates, pundits dissected even the smallest facial gestures of both candidates. Over the weekend of watching football, I caught many a four-letter word being bellowed by coaches that were meant for the players or officials to hear, not their grandmothers to see. The lesson for you is this. As a leader, you are constantly being watched. Your employees have their eyes on you even when you think you are invisible. Your clients and prospects catch those innocuous body language and facial gestures. And, if you are a speaker, make no mistake that you can’t hide for even a second. Be aware of how you look; your manners; your gestures; and your body language. Be wary of how you are being judged because when you’re in a leadership, sales, or management position, you are being judged. Who’s watching you and what are they seeing? This week’s focus point: No matter what your politics, the first Presidential debate showed that the camera is always on you; preparation is vital; energy is essential; rules are almost always broken at some point; and this is an age of instantaneous communication and viral opinion. What does that mean for us? Be careful about your non-verbal behavior, stay in the moment, frequently express interest, be physically and emotionally fit, and manage the messages you need to send. If you want to stand out in a crowd, you had better plan to look good while you’re standing there. One of my summer objectives was to get the car in the garage. It became a necessity as my mother’s mobility has diminished and as the weather gets worse, it’s important. 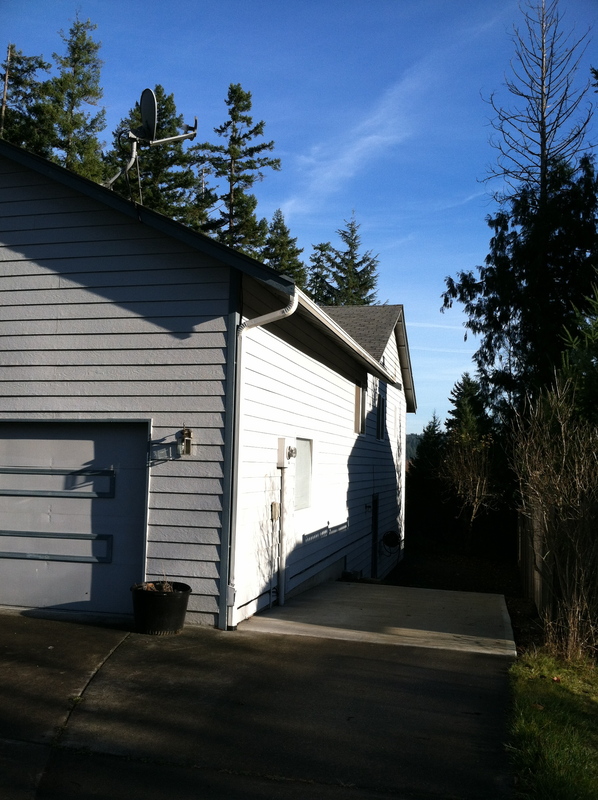 I had made strides in cleaning out the garage, but since the weather was perfect, I knew it was “go time.” In 2 hours, I was able to clean out and re-organize to the point that the car first perfectly and in a spot that is easy for my mother to get in. The garage is not perfectly clean, but success was achieved. Life and business are about success, not perfection. How often do you see that someone is not willing to take a next step because everything isn’t just right? It’s not perfect. They don’t want to put something out there or take a risk because conditions aren’t exactly right. How often do you do that? There is never a perfect time. Not taking that risk may be worse than waiting for that ideal time because you’ve lost opportunity or never do it. In the end, you really just need success. That’s what business and life are all about. Dan was telling me that one of the big issues he is working on with the school board is about having dogs in the classroom. I guess there are some dogs that are called “therapy dogs” who come and help kids learn in the classroom. Me….I can’t do it. These dogs have to be on their best behavior all the time, be docile, not chase squirrels, and teach kids. I can’t do any of the first three, and what I can teach kids, their parents want no part of…believe me! Take risks. Fail. Learn. Take more risks. Dogs would never have any fun if we didn’t take a few risks. Humans are the same way. Too boring. Get lots of sleep. Dog brains need lots of sleep and so do humans from what I understand. Humans work too hard sometimes. Get more sleep. Learn how to influence. I influence Dan all the time to feed me, take me out for a walk or other unmentionables, watch TV, and sleep on the bed. We dogs influence with our eyes and natural charm. Humans use language. Find new adventures in the same old yard. My yard is my regular stomping grounds. Other dogs have fenced yards. Either way, we see the same thing everyday, but we make each day a new adventure. Humans get discouraged too easily. Just because it’s the same yard, doesn’t mean you can’t keep having fun. Find new smells! Live in the moment. Sometimes I get in trouble, but I forget about it and move on. Humans tend to mope about bad things too much and then the bad things linger on longer than they ever should have. You see some dogs can provide therapy, and some might just need it themselves. I think I may just fall into the last one, but who cares. I’m having fun! Last week, I spent 4 days in Boston. It is now one of my new favorite cities. Great city to walk, the food was awesome, the weather was perfect. And, the reasons I went turned out to be great. It seems whenever I go somewhere, especially new, I pick up some lessons for my business and life. Boston was no different. I’m happy to share them with you. 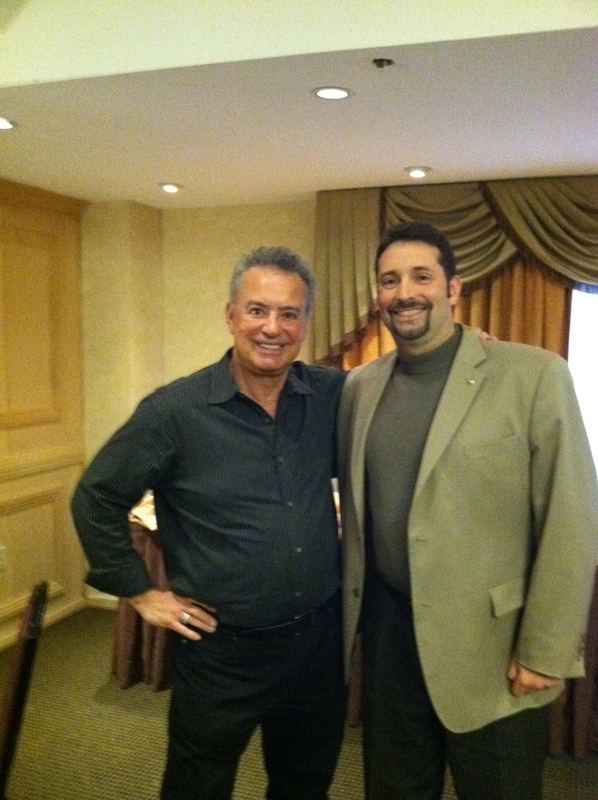 The reason for my trip was to meet with my Mastermind group created out of Alan Weiss’s consulting community. Alan was personally meeting with us for a day. My colleagues are from all over North America and are world-class consultants in their own rights. Lesson #1 – You have to be present. By present, I mean face to face. Technology is a wonderful thing, however nothing beats personal interaction. Out of the group of six (including me), I had never met three of them in person. We had spoken by conference call, emailed, and dialoged on an online forum. But, we’d never met in person. The opportunity to meet in person before our session with Alan, to have dinner together, to relax, and to have fun, was simply priceless. It made the next day more meaningful and valuable, and it will make the rest of our journey together more rewarding. When was the last time you dropped in to see your clients face to face? Lesson #2 – Be flexible and creative. For as much as I believe in Lesson #1, things do happen. One of our group, who lives on the West Coast, injured her back the day before she was set to leave. There was no way she could do a 5+ hour flight with a bad back. But, instead of having her miss what was a very important session, we were able to Skype her in for the entire day-long meeting. She could see us all, ask questions, and felt part of the group. Even when my iPad flipped her over, it didn’t hurt! Find a way to leverage your resources to be inclusive, save time, and provide value in a real-time manner. Lesson #3 – Mix business with pleasure. I knew this already, but it was cemented here. My college-age daughters go to school in Pittsburgh, so I invited them to join me. 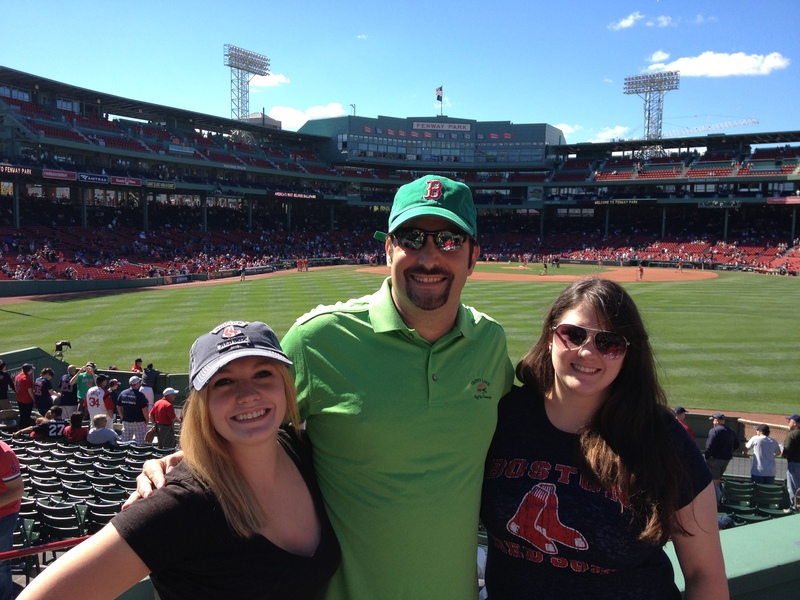 They came early and we enjoyed some great meals, a trip to Fenway Park, and even included them with my colleagues for dinner. They were a big hit with my friends, and they enjoyed being part of my “business” life, too. In addition, after they left, I stayed an extra half day to walk the city, explore the history, and enjoy the vitality of Boston. I spent almost 3 hours walking with my History Channel app guiding me to historical spots. When business takes you someplace new and interesting, find a way to arrive early, or stay late to enjoy where you are. When was the last time you did that? Lesson #4 – You can’t be brilliant by yourself. Again, not a new concept, but sometimes you need to be reminded. Each one of us throughout the course of our daylong meeting, found several different ways to enhance our practice, provide more value, and improve our lives. These all came from a suggestion or comment from someone else. We often can get sucked into a myopic gaze, where we end up being our worst enemy when it comes to innovation and creativity in our own business. Having regular contact with a mentor, coach, or support group is critical to new idea generation and success. Where do you go for help? Do you have a mentor, coach, or group to help you be brilliant? 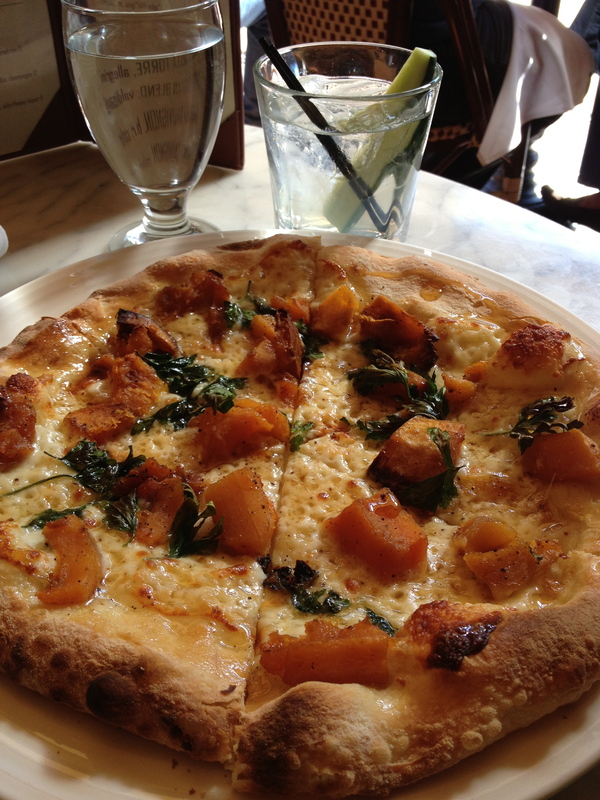 Lesson #5 – When you’re in Boston, swing by Sonsie on Newbury and buy the Butternut Squash Pizza. You won’t be sorry. I know this is more of a tip than a lesson, but you just gained a little slice of food value. Go with it! Do you take time to slow down and enjoy where you are in the moment? Sitting by myself, eating lunch, and enjoying the world go by was refreshing> When was the last time you rewarded yourself? I left my sunglasses in Boston. When I called the girls to see if by any chance they had packed them on our trip, I realized that they were gone. I apologized to Kelli because she had spent so much money (for her) on them. Her response was classic. She said, “That’s okay. It was a good run.” A good run! It wasn’t even 9 months! But in her perspective, I got great pleasure from, and deeply valued the glasses. Mostly, because they were from her. “Well, it was a good run,” and get on with your life.